Circa 2008, the USA was thrown into a recession that hit hard. Some felt nothing, some felt a little, and then there were some who were completely knocked on their asses. Detroit has a special place in American history – from its place as the 4th largest city in The United States of America, to it’s decline, and its current up-sweep. 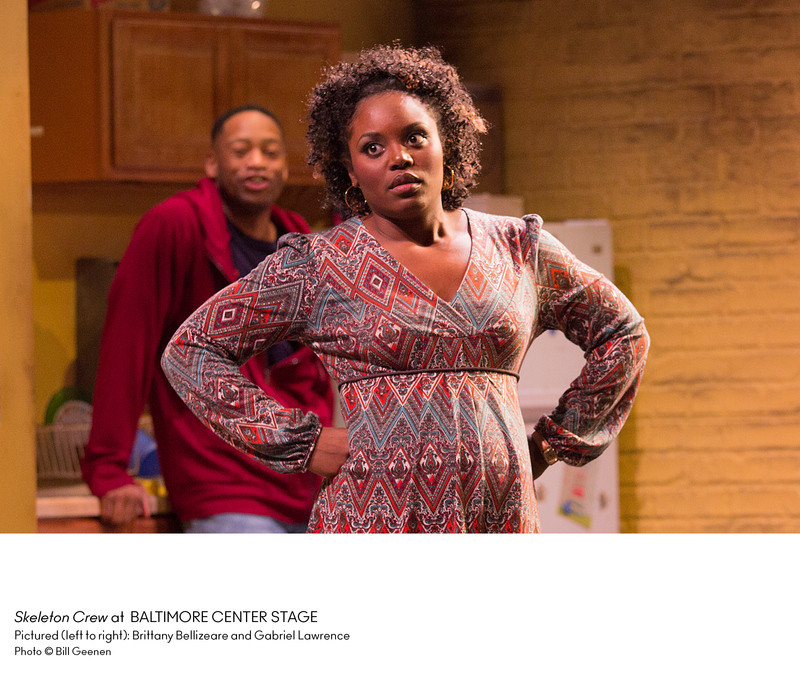 Baltimore Center Stage’s latest offering, Skeleton Crew by Dominique Morisseau, Directed by Nicole A. Watson, is a perfect fit for The Women’s Voices Theater Festival and gives us a peek into the decline part of that history and gives those who may not have been in the heart of it a better understanding with relatable, authentic characters and heartfelt stories of survival in uncertain times. 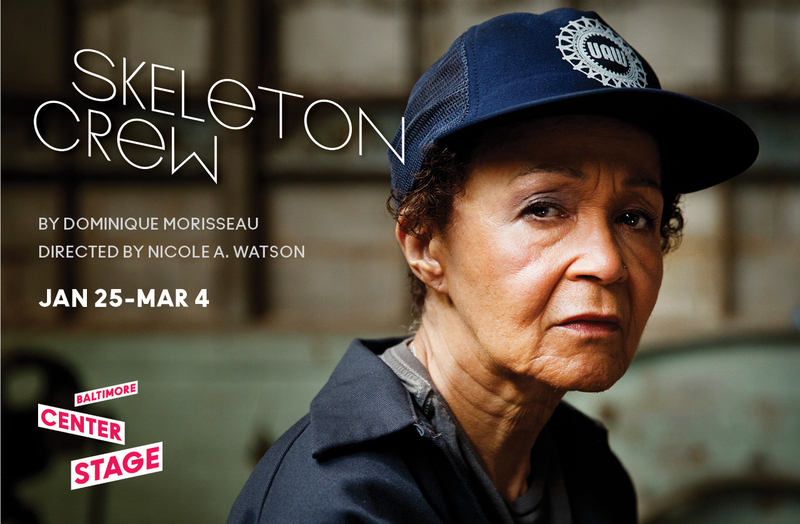 Skeleton Crew is one part of Dominique Morisseau’s Detroit Project that includes this play as well as Detroit ’67 and Paradise Blue. This is a truly American play that exhibits an American experience as the country was on the verge of an economic collapse and deals with a group of people trapped in a system that seems to force their hand but also presents the choices those same people can make. 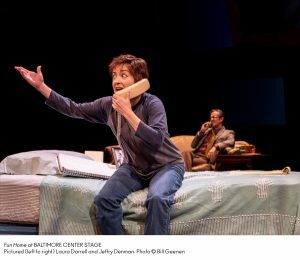 The story is relatable and relevant as are the characters within this story and the dialogue is authentic making this an intriguing, engrossing evening of theatre. Scenic Design by Mariana Sanchez gives us a well thought-out Scenic Design utilizing a unit set of a simple breakroom with all the fixings including a small kitchen area as well as a small locker area. It’s the details that make this set more real and “lived in” such as the dingy, stained walls and various signs, notes, and notices attached to them. 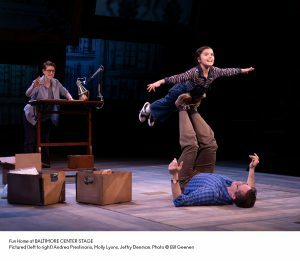 Sanchez’s design works in perfect tandem with a Lighting Design by Burke Brown and Sound Design by Darron L. West giving us a full and immersive production. Brown manages to set the mood and time of each scene with subtle shifts of light from within the small breakroom as well as from the insinuated factory beyond. His use of jolting flashes of light during particular points and transitions in the production are effective and work well with the piece as a whole. Along with Brown’s design, Darron L. West’s superb Sound Design helps put the audience smack dab in the middle of this auto factory with muted background sounds of an operational facility. The hum and rhythm of the machines are always present and are almost like the heartbeat of the production but also adds that extra bit of authenticity. 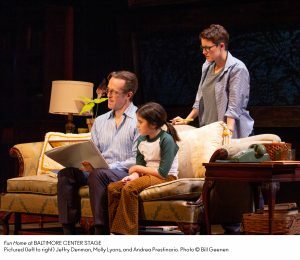 Costume Design by Karen Perry is spot on with a contemporary look of folks who are a little down on their luck, scraping by, but with their heads still above water. 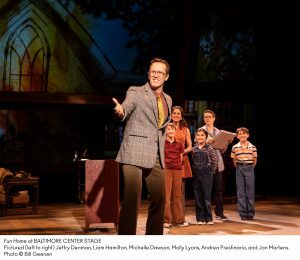 Like just about every other aspect of this production, Perry’s working-class, urban design is true and well thought-out, transcending the audience to this time and place making this piece more relatable. 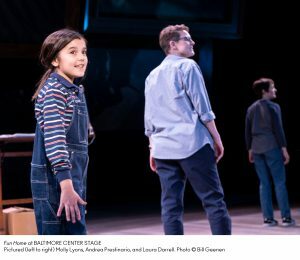 Nicole A. Watson takes the helm of this production and her Direction is on point, guiding her actors and creative team to bring out the poignancy and drama of this story. She has a good grasp on the material and understands the delicate balance between feeling sorry for these strong characters and rooting for them. 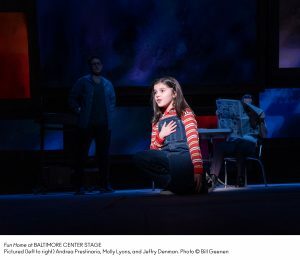 Her staging is engaging and allows for great pacing mixing points of urgency and calm that keep the audience interested and invested. 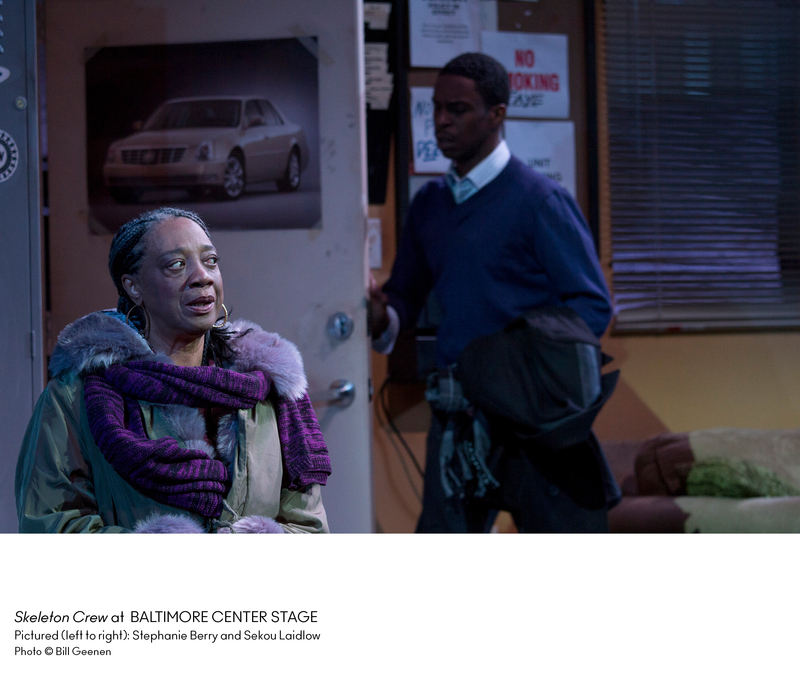 Moving on to the performance aspect of Skeleton Crew, we meet Shanita, portrayed by an able Brittany Bellizeare. Shanita is a young mother-to-be who is optimistic, hard-working and proud of her work and wants what’s best for the city she lives in. Belllizeare shines in this role and it’s as if it was written just for her. She’s comfortable with this character and has a good understanding of what she’s going through and what she has to deal with as a single, pregnant young woman trying to make her way in the world. Her grasp of this character is quite apparent, especially in her monologue about how her character feels like she’s making a difference with her part in creating automobiles and how she’s a part of the lives of people who purchase and drive these vehicles. Aside from sounding a little scripted, at times, Bellizeare gives a strong, confident performance. Gabriel Lawrence takes on the role of Dez, the young, rough-around-the-edges guy who has a slight problem with authority and big dreams of striking out on his own. 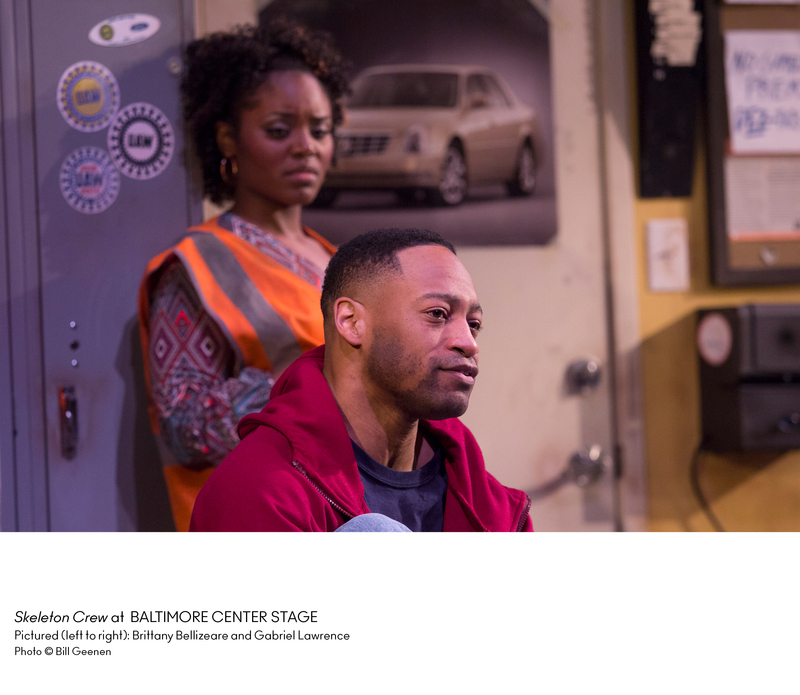 Lawrence gives a brilliant performance as this character and seems to understand the load this character carries on his shoulders every day as a young, middle-class, African-American male. Lawrence also manages to blend that rough exterior with a man who is, deep down, a good soul. The way he portrays him with his fellow workers in the breakroom as opposed to the way he portrays the character with management is a good, definite switch that makes this character interesting. Sekou Laidlow is a highlight in this production as he tackles the role of Reggie, the Supervisor who worked his way up the ranks at the factory but has close ties to the workers and absolutely understands their plights and honestly wants what’s best for everyone. Laidlow starts off a little stiff, but quickly starts to ease into his character to give a natural portrayal. Laidlow understands his character walks the very thin line between management and employees but he plays this balance beautifully. We learn of this character’s background and relationship with the other characters and Laidlow manages to emote the conflict within this character of what he thinks is right and black and white of company policy. He’s got a strong presence and natural flair that makes his performance a definite highlight. Last, but certainly not least, we have Stephanie Berry, who takes on the role of Faye, the hard-as-nails old-timer on the line who happens to be the union representative and seems to have seen it all and knows how to survive. Berry, hands down, is the standout in this production and completely embodies this character she is portraying. She pulls of a motherly persona, who wants to take care of those around her, as well as the loner persona who just wants to be left alone to take care of herself. That conflicting balance can be challenging to portray, but Berry does it with ease and confidence. The character of Faye is multi-faceted but Berry tackles her with gusto and is quite successful in her portrayal. Her presence is formidable and her chemistry with her castmates is superb. The poignancy in tandem with the roughness in her portrayal make this a beautiful performance and certainly one to watch. 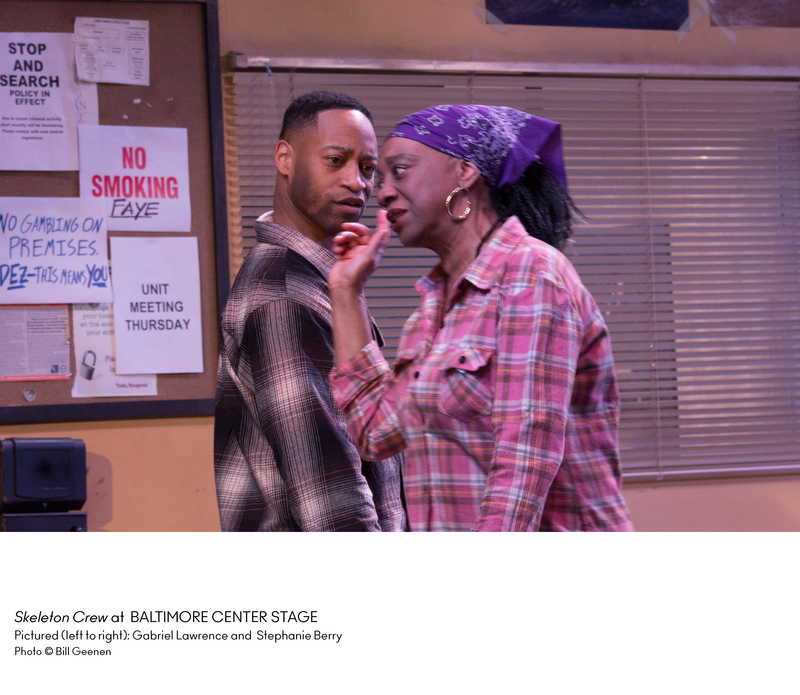 Final thought… Skeleton Crew at Baltimore Center Stage is a fitting addition for The Women’s Voices Theater Festival with its strong female lead and its poignant and authentic look at the decline of a great city and the effects of that decline on the people living and working there. 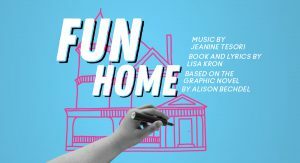 Dominique Morisseau’s script is top-notch as it is engaging with a beautiful blend of drama and comedy that makes for a tangible representation of everyday life, allowing for the audience to relate and connect with these characters. The chemistry in this cast is impeccable and the performances are top notch. Get your tickets, now, for this production because it’s not one you want to miss. 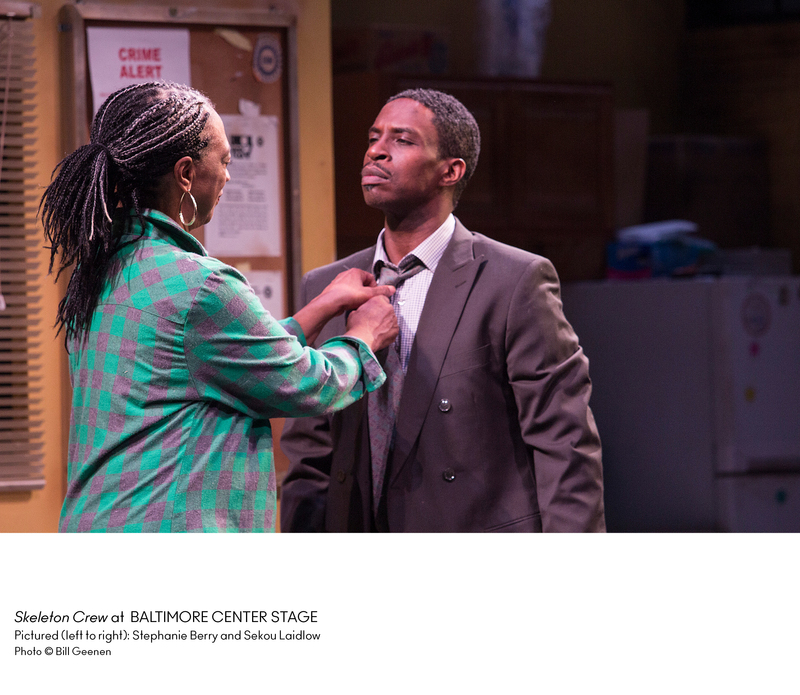 This is what I thought of Baltimore Center Stage’s Productions’ production of Skeleton Crew… What did you think? Please feel free to leave a comment! 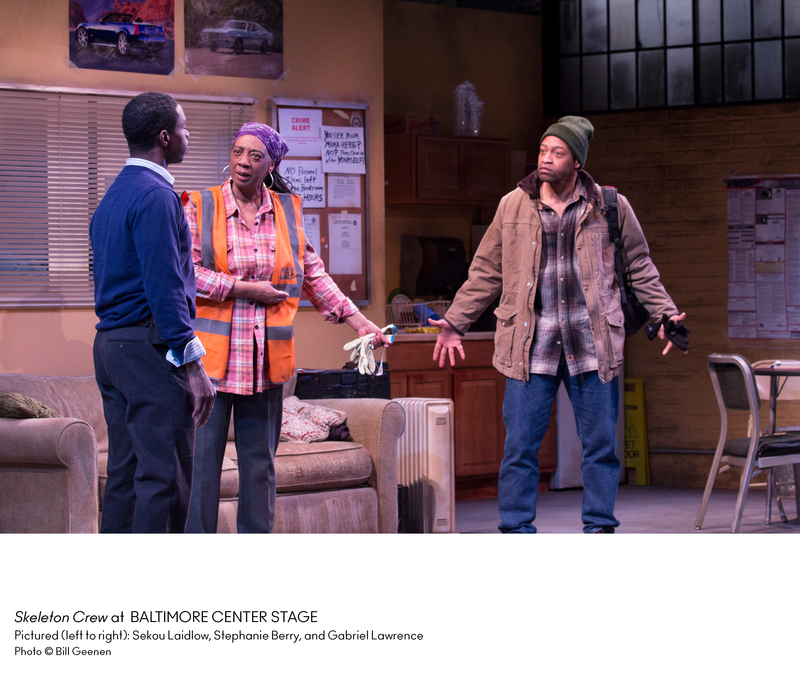 Skeleton Crew will play through March 4 at Baltimore Center Stage, 700 North Calvert Street, Baltimore, MD. 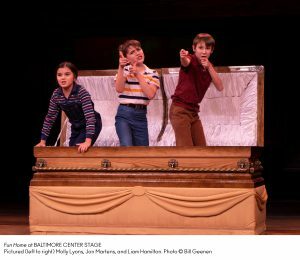 For tickets, call the box office at 410-332-0033 or you can purchase them online.